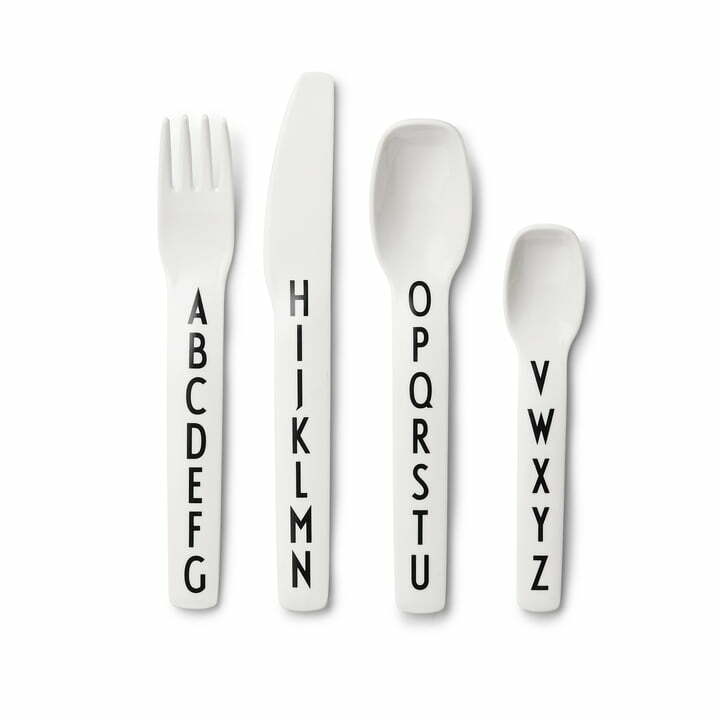 Children will not only learn to eat properly, but they'll also learn how to spell while having fun with the melamine cutlery by Arne Jacobsen by Design Letters. Made of melamine, the spoons, knife and fork are very durable and ideally suited to small children's hands. The children's cutlery set includes 2 spoons for soups and yoghurt, as well as a knife and a fork. The known minimalistic style of the cutlery suits the rest of the children's tableware by Design Letters, all of which is adorned with the distinctive letters by Arne Jacobsen. From A to Z, all letters of the AJ alphabet grace the cutlery - from the fork to the small spoon. Children will easily learn every one of them. A like Apple or M like Muesli! 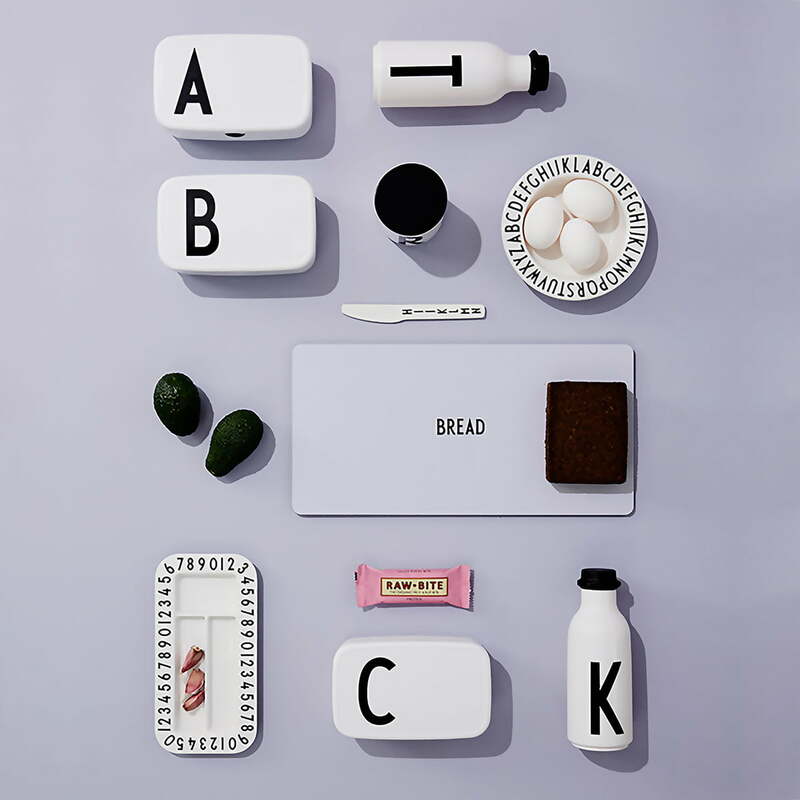 With the tableware by Design Letters, eating and learning goes hand in hand. Image of the AJ melamine cutlery by Design Letters. The cutlery includes a fork, a knife, a spoon and a tea spoon with typography design. Made of melamine and therefore not suitable for the microwave. 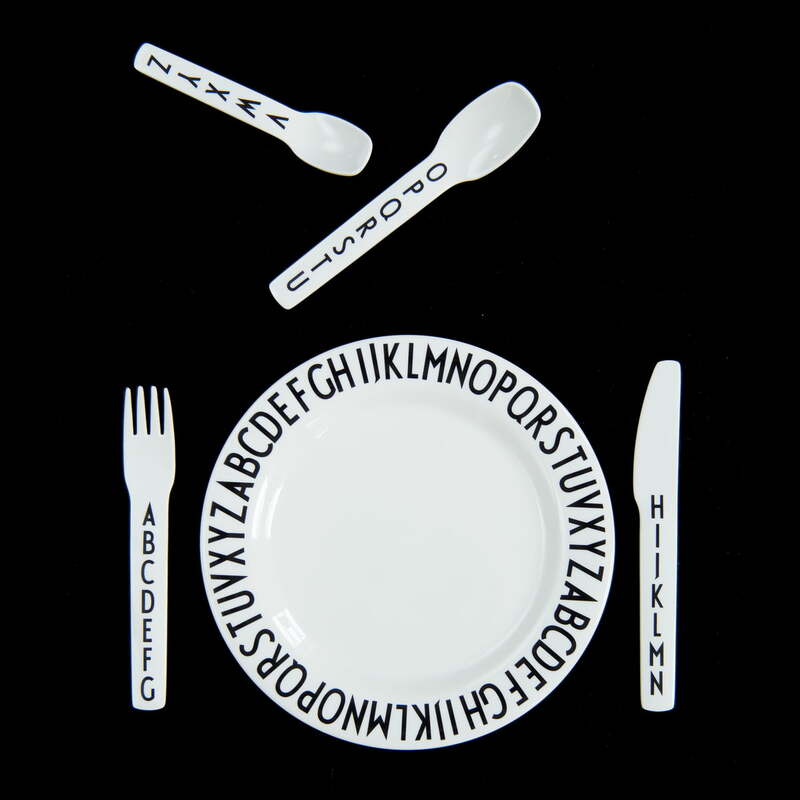 Image of the unsorted AJ melamine cutlery by Design Letters. 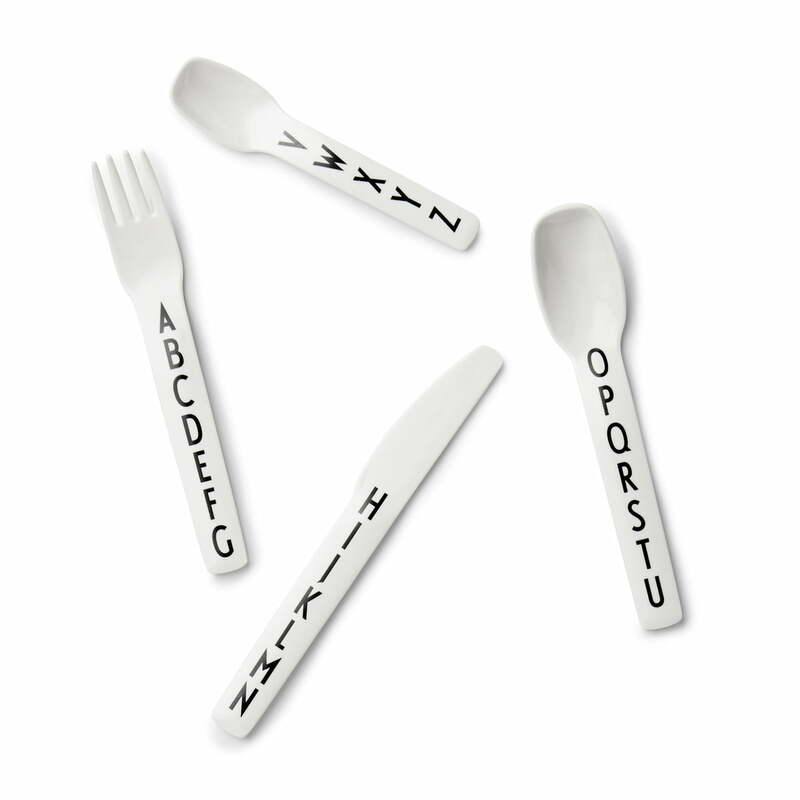 The cutlery includes a fork, a knife, a spoon and a tea spoon with typography designs. Made of melamine and therefore not suitable for the microwave. The Kids’ Collection by Design Letters has children’s tableware, design toys, pens and colouring books decorated with the typography by Arne Jacobsen for children.